How do you find a PR agency that knows how to use its potential to get the best results? One valuable way is to look at how an agency works. 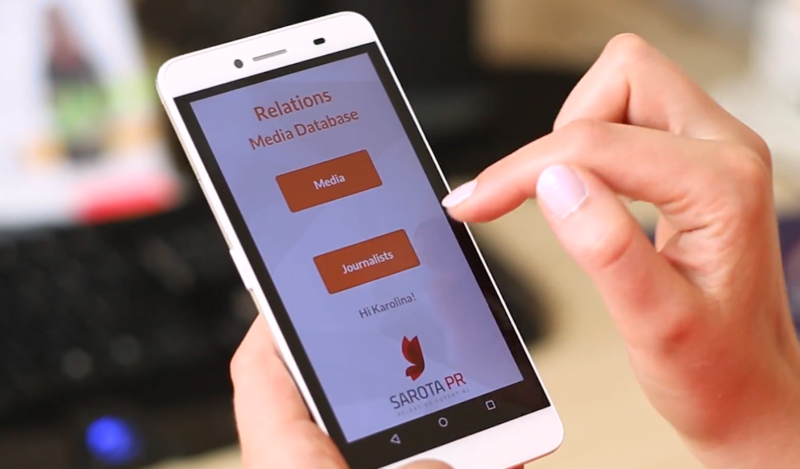 At Sarota PR, we have designed a comprehensive system, Relations, which assists us in handling burdensome but important tasks. Relations connects our team’s knowledge with an analysis of our work, enabling us to use our time effectively and focus on maintaining our relationship with the media. Since Sarota PR’s very beginnings, we have sought to enlist technology that would support our everyday work while also meeting our professional standards. As PR specialists, we take pains to maintain individual relationships with journalists, to respond to their needs and provide exclusively engaging materials. To best leverage our team’s strength, we share experience and information thanks to an up-to-date media database. Gone are the days when we used a simple address book and a plug-in for Microsoft Outlook. We felt we had no choice but to improve how we collected information about the results of our work and, given our clients diverse requirements, to prepare more and more extensive reports. We also sought out tools that would help us draw conclusions from our work in real time and to make our results more objective. – an analytical part presenting detailed results of communication activities. Continually improving work and reacting to changes is impossible without drawing conclusions about previous activities. To measure the effectiveness of PR, specific information and indicators are essential, as are the right tools. Relations draws together data on the media, publications and press releases to give us a complete overview of our team’s work and the effects of its PR activities. It also gives us a basket of objective measures with which to verify our intuitive know-how in preparing press-bound materials, while dynamic filters enable us to extract results according to precisely defined criteria. The analytical module also helps us make important evaluations—for example, of the effectiveness of using a particular headline on a press release or of the optimal time for a press release to be published. On the basis of conclusions drawn on press materials that have already been distributed, we can choose the most appropriate media audience for a given topic. Because we can examine the current results of a project in progress, we can identify difficulties and react effectively throughout the project’s duration. Then, once we’ve completed it, we can easily assess whether our goals were achieved and whether the tools we chose were effective. Good practices thus identified can now be applied to activities for other clients. – at the same time, the entire data management process is safe and fully compliant with GDPR guidelines. Using the tools in Relations helps our specialists strengthen their individual relationships with journalists. For clients, reports are an essential source of knowledge about the effectiveness of their agency’s activities. Relations give us the ability to quickly generate the appropriate sets of information on publications drawn together in Press Clipping files. Because our media base is synchronized to these files, documenting the publishing effects in Relations is fast and efficient—yet also comprehensive. A default report template is generated automatically, and contains data that is key for the customer, including the type of publication and media by rank. We are also able to flexibly adapt to non-standard expectations or specific questions, such as the exposure one can gain in a selected media category or a campaign’s estimated advertising equivalent (AVE). Time saved on reporting activities can be devoted to deepening relationships with journalists. Employing the right tools and using our time effectively has translated into success and top quality services—and a desire to constantly optimize our procedures and work. Thanks to Relations, our services are not merely a collection of random or uncoordinated activities, but work done effectively based on the analysis of specific indictors, the conclusions they allow us to draw and technology which we don’t merely talk about, but create and use every day. Relations took first place in Microsoft’s 2018 global hackathon as the best Office 365-based tool. 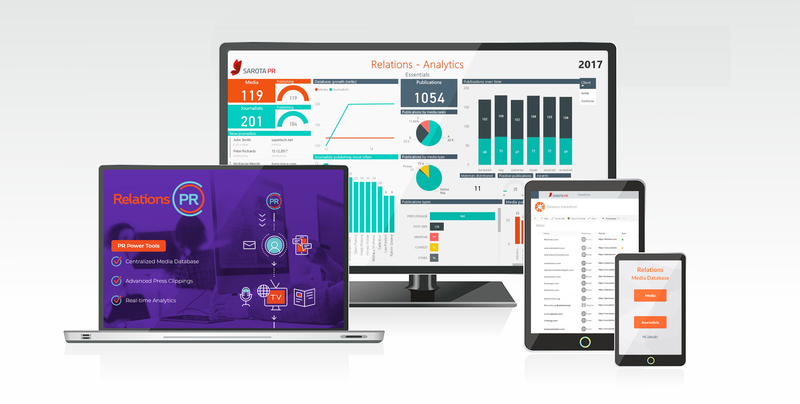 If you’d like to learn more about our tools and how they are developed, sign-up for updates at relations365.net page.